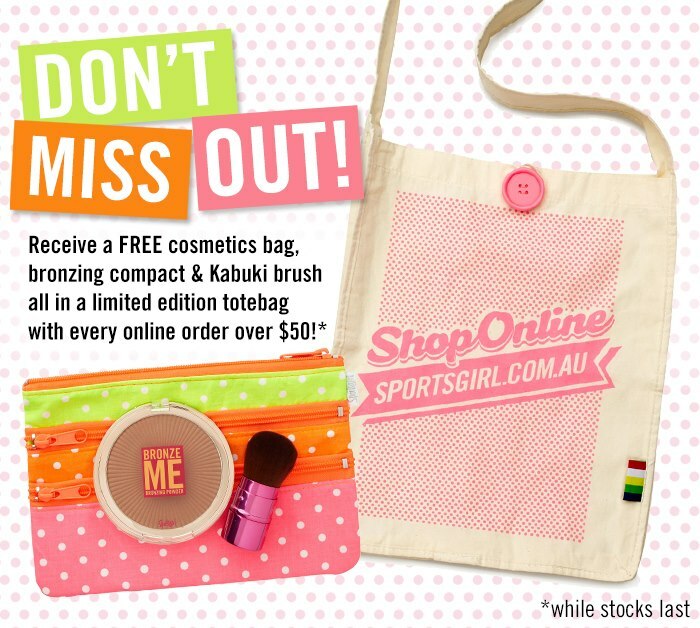 Just a heads up that Sportsgirl's online store currently has a fabulous GWP offer. Not only will you receive a bonus cosmetic bag, bronzing compact, kabuki brush and canvas tote bag, but you will also receive free shipping when you spend over $50 (Australia and New Zealand) or $80 (rest of the world). This offer is available while stocks last! Please see the Sportsgirl Facebook page or online store here for details.